A New Zealand family introduces their kids to the wonders of Maori culture on Rotorua. Last January – the warmest month in New Zealand – is the time we stopped for a while in Rotorua. Rotorua was originally a Maori village, settled about 600 years ago, built next to a geothermal area where the inhabitants could watch the geysers, swim in the hot pools, and cook their meals in the very hot pools. It became a tourist center in the 1870s when European people began to arrive to bathe in the hot pools and mud, hoping to cure all sorts of diseases and ailments, or just to take time to gaze in wonder at the geysers, boiling mud, and fumaroles. A major attraction was the famed Pink and White Terraces, sinter deposits of silica on the side of Mount Tarawera, a dormant volcano, that were considered to be among the seven natural wonders of the world. These terraces were similar to the terraces found at Pamukkale in Turkey. The Pink and White Terraces were buried and lost when Mount Tarawera erupted in 1886. There are so many geothermal areas, lakes, mountains, and other attractions in the Rotorua area that it seems there is always something new to see and do. On this trip, we visited Te Wairoa (the buried village), which is 15 kms (9 miles) from Rotorua and about half way to Mount Tarawera. This was a Maori village that was partially buried by the 1886 eruption of Mount Tarawera, a mountain that is another 15 kms (9 miles) away on the far side of Lake Tarawera. It is said that before the eruption there were some strange happenings, including the sighting of an ancient Maori war canoe of a type not previously seen on the lake. It was reported by people on a tourist boat crossing the lake to visit the Pink and White Terraces and was seen by both Maoris and Europeans. When the villagers reported the strange happenings and the sighting of the phantom canoe to Tuhoto Ariki, the village tohunga (medicine man or wise man), he told them some calamity was likely to happen to the village as they had angered the powerful fire spirit that lived inside Mount Tarawera by neglecting the old traditions to go after money from the tourists. 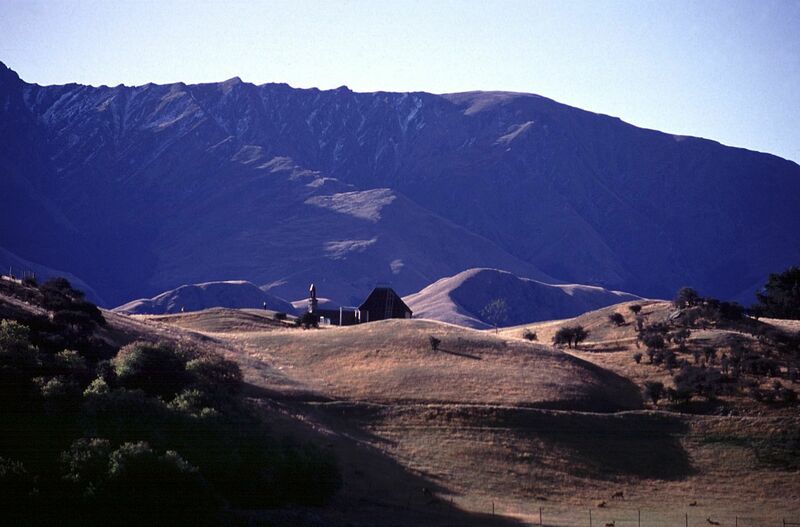 Four days later on 10 June 1886, in the middle of the night, there were earthquakes and loud sounds and then the sky lit up as the normally quiet mountain, Mount Tarawera, split open along its summit and erupted. The eruption lasted six hours and 8,000-square-kilometers were buried in ash; the Pink and White Terraces disappeared, the village of Te Wairoa was buried under a blanket of ash, and a new lake, Lake Rotomahana, was formed. After the eruption, the villagers who had not been buried or could get, free dug out the other villagers who had been buried in the ash or trapped in their whares. However, they refused to dig out the tohunga as they held him responsible for exciting the fire spirit to cause the eruption. He was rescued four days later by Europeans who took him to Rotorua, but he died a week later at the age of 104. Since the eruption on that night, Mount Tarawera has remained dormant. If you would like more detail of the Tarawera eruption, there is some information available at this site in a form suited for children to use as a resource. I am a little dubious about the story of the sighting of a phantom canoe as I am about most stories of the supernatural. Someone may have made it up after the event, but it is often included in reports of this eruption and makes a good story. 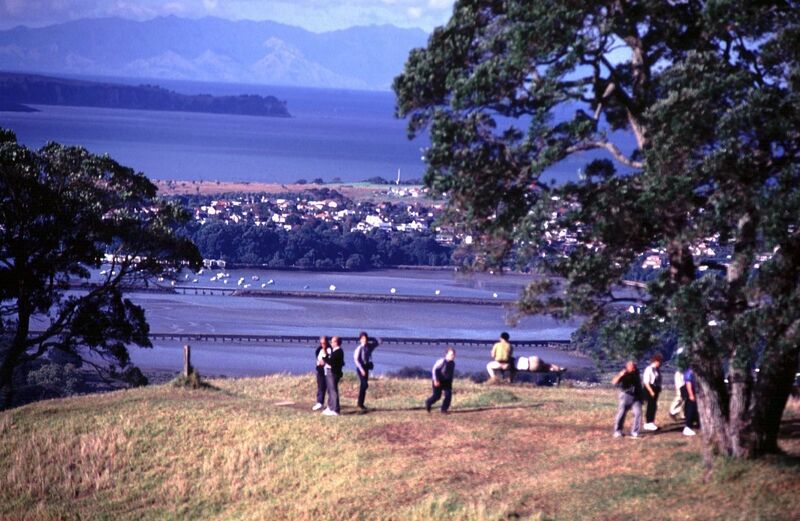 Later in the year, in August, we returned to Rotorua with a Japanese exchange student who was staying with our family. We all went up in a gondola to do some luge riding, visited a thermal area to see the geysers and boiling mud pools and in the evening, we visited the Tamaki Maori village. From our accommodation, we were met by a bus and taken to a reconstructed Maori village where we watched some Maori entertainment and had Maori musical instruments explained to us. Then we were treated to a traditional feast cooked in Maori ovens in the ground. The food was great and abundant, and the experience well worthwhile. On our return trip we called in at Mount Ruapehu and did a little skiing on the side of an active volcano. Mount Ruapehu is almost dormant at the moment and is considered quite safe to ski on. New Zealand had a late snow fall in the mountains and the ski fields were still open on Christmas day. Temperatures were warm and the sun was shining and people were able to ski in light summer clothing.